In case you didn't already know, I recently passed my practical driving test. I've had some time to reflect on it, and want to share some tips with you if you're currently learning to drive or know someone who is about to. Learning to drive is not going to take overnight, unfortunately. In my own personal experience, I had a year and a half of lessons in a manual about 6 years ago and then wasn't making any progress so gave up. Then at the start of this year I wanted to get back into it, so decided to try automatic instead and it worked a treat. It still wasn't quick, I had about 40 hours of lessons but I had all the knowledge I needed to pass. Your finances are going to be hit hard. It costs £34 (online, by post it's £43) to get your provisional licence to start with, let alone driving lessons, the cost of a car and all that entails. 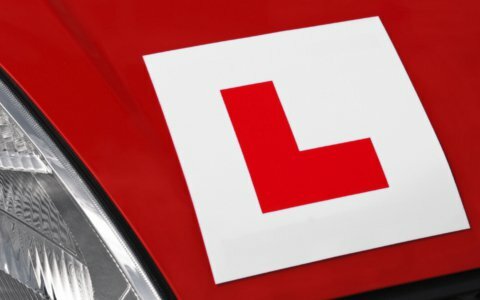 Most instructors also advise that you take your theory test before you start lessons and there's a £23 fee for that, so you've spent nearly £60 before opening a car door. Private practice is SO important. I know not many people can afford to buy a car before they pass their test, but having practice in some kind of car (that's insured for you of course!) is so important. It's what makes you feel a bit more relaxed being on the road without your instructor sat next to you, but your parents or accompanying driver (who's got a clean licence that's older than 3 years and is over 21) - you can go further than in your lessons and definitely makes a difference to how you perform on your next lesson. If you want to change instructor, you can. With so many options out there for instructors these days, both independent and part of schools, it can be hard to choose. Also there's another important point to make here: cheapest doesn't always mean best. That said, if you have an instructor that you don't get on with or feel comfortable with in the car (as you're going to be spending a long time sat next to them), feel free to change it. You don't have to stay loyal at all, you're the paying customer. If you're not making much progress, then move - they should be fine with you saying "I'm going to try someone else" and if they're not OK with it, they probably weren't worth your time and money anyway. Read the reviews if they have any and reach out to ask for their prices if they look legit. It's alright just to enquire and consider a few different places before making your final choice. Someone on a driving lesson YouTube channel said something interesting - people don't know they need to change instructors until they've done about 30 hours' tuition. That happened to me, however I changed instructor to someone more local, and only needed 10 hours of lessons with them to pass first time. Those are just a few tips - if you have anymore, please feel free to post them in the comments. Let me know how you're getting on if currently learning or are about to. Driving is literally so expensive! I so wish that the lessons were a little bit cheaper! I wish I'd known in advance how expensive learning to drive was going to be and I would have budgeted more! Sadly, it doesn't get any cheaper when you have the car, haha. it is so expensive! but it is much needed outlay for the huge benefits!